Applications are invited for the following Ad-Hoc / Temporary vacancies in Darrang College, Tezpur. 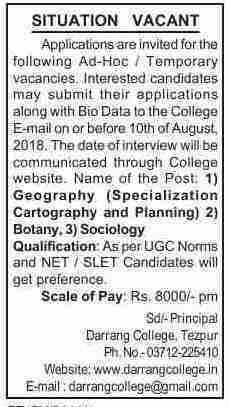 Interested candidates may submit their applications along with Bio Data to the College E-mail on or before 10th of August, 2018. The date of interview will be communicated through College website.